The Russian president’s anti-corruption campaign is quickly gaining momentum with a sharp focus on government officials. Vladimir Putin has taken another step towards what many refer to as ‘nationalisation of the elite.’ The president has signed decrees introducing procedures for state officials to submit their income and expenditure declarations. By July 1, they are supposed to get rid of any foreign shares, bank accounts and other assets they might have. Officials are also supposed to report major purchases worth more than three annual salaries registered to themselves, their spouses and children under the age of eighteen. Putin instructed his own administration, namely, the Presidium of the Presidential Anti-Corruption Council headed by Sergey Ivanov, to see to it that state officials comply with the new rules. He could have chosen the Audit Chamber, Prosecutor’s Office, Investigation Committee or even the FSB but Putin apparently does not trust any of these agencies completely and is unwilling to turn any of them into an omnipotent ‘super-agency’ responsible for purging the bureaucracy. Commentators are divided over the new set of measures. Some point out the loopholes for corrupt officials: personal assets and accounts abroad can still be registered to trust funds, property of companies owned by spouses and children is not subject to control, and some say that further weaknesses of the new regulations will be revealed at a later stage. A logical question to ask would be why Putin does not take more resolute action. On the one hand, the president is making a move that would only be logical for a politician seeking to stay in sync with the prevailing public mood. According to Levada-Centre polls, 46 percent of Russians believe that the struggle against corruption must become Putin’s key mission (it is second only to the demand to promote economic growth, supported by 53 percent of the respondents). On the other hand, the president must take into account the limits of his power. More than two-thirds of the population approved the measures prohibiting state officials from having foreign property and accounts. There is a popular opinion that many Russian officials see their future and the future of their children in the West—where they have their accounts, where they go for vacations, where their families often live and where their children go to school. The administration of the country believes that the foreign assets of Russian officials make them susceptible to unwanted foreign influence and even blackmail and undermine the country’s sovereignty and ability to pursue an independent foreign policy. People would eagerly support even stronger measures and allow officials to go abroad only in extraordinary cases, ban their children from attending foreign schools and officials themselves from going to foreign clinics. Fifty percent of the poll’s respondents believe that the officials who fail to declare property should be criminally charged. Yet you can really cross the line if you try to indulge the public—some of the respondents did not even rule out public execution and confiscation of the property of corrupt officials. Even so, Putin would obviously not want new Red Guards and mass purges, which almost always imply mass anarchy. Russia still remembers the Great Purge undertaken against state officials back during the Stalin era and this is something that Putin clearly does not want. The president has no plans to foment a revolution in the state administration. A harsh crackdown might cause severe political shocks that will take quite a long time for the country to forget. Moreover, a revolution would call for a special agency or institution consisting of ruthless, hard-line people who would not be associated with the rest of the administration and would report directly to the president. Such people are nowhere to be found at the moment and no-one can guarantee that they would all be honest and incorruptible. Such a move would imply great political risks and there is always a chance that the initiator might become a target of some political plot. 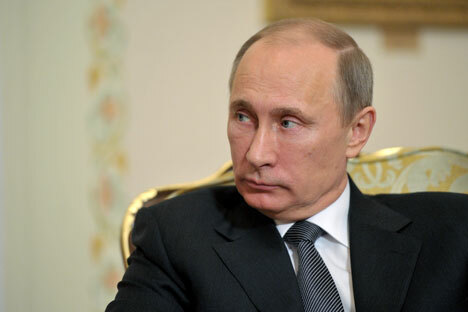 President Putin has chosen a different way, a seemingly trouble-proof compromise. Putin has given officialdom a clear signal that the rules of the game are changing and the policy of ‘anything goes,’ founded on the tacit deal ‘no sanctions for stealing in exchange for political loyalty,’ is now over. Every official will have a chance and the time to adapt and those who are not ready to play by the rules will not be shot but rather dismissed and allowed to leave state service to pursue a different career. Even if the law operates selectively, the way that sceptics believe it will (41 percent of the respondents in the poll conducted by the Levada-Centre think so), it will still be a step in the right direction. As soon as the first victims of the new order appear among Russian officials, others will be concerned that, in this new environment, there is nothing to help them get away and they may well be the next in line to be punished. Also importantly, society is being encouraged to pinpoint corrupt officials. The series of high-profile resignations by MPs and senators following incriminating online publications shows that online exposure is no longer pointless. Chief of Staff Sergey Ivanov has already said that whistleblowers will enjoy state protection, thus launching a mechanism encouraging subordinates not to be afraid of revenge on the part of their corrupt superiors. Indeed, the best way to fight corruption is to engage the broad public. If society believes that the authorities seriously intend to crack down on corruption, and offers its support in word and in deed, the anti-corruption campaign is bound to succeed.